If you notice, the smartphone superior brands that circulate in the global market must have Red / Red color variants. Apple has just introduced the iPhone 8 Red Special Edition which is priced at around Rp 13.2 million and has been marketed on April 10th. 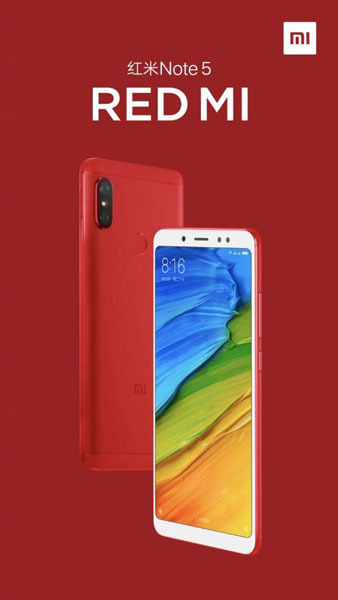 Trend working on this red color variant was also done by Xiaomi who is rumored to be officially also will release a red version of Xiaomi Redmi Note 5. This is first known from the poster displayed by Xiaomi. From the poster contains pictures Redmi Note 5 red version that comes with a white front panel. While the rest appear wrapped by a bright red color. Compared with other colors, red color variants do look very striking. You need to know, until now Xiaomi Redmi Note 5 only offers four color variants namely Magic Blue, Black, Rose Gold and Gold only. But not yet known, is there any price difference between variant Red / red with color variants that already existed. 0 Response to "Xiaomi Redmi Note 5 Red Edition Released Soon"